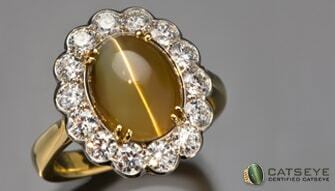 The Cats eye gemstone is one of the strongest gemstones offered by mother nature. It is so strong that if it does not suit the wearer, it will immediately show signs of uneasiness, restlessness, etc. It protects the wearer from hidden enemies, and diseases. 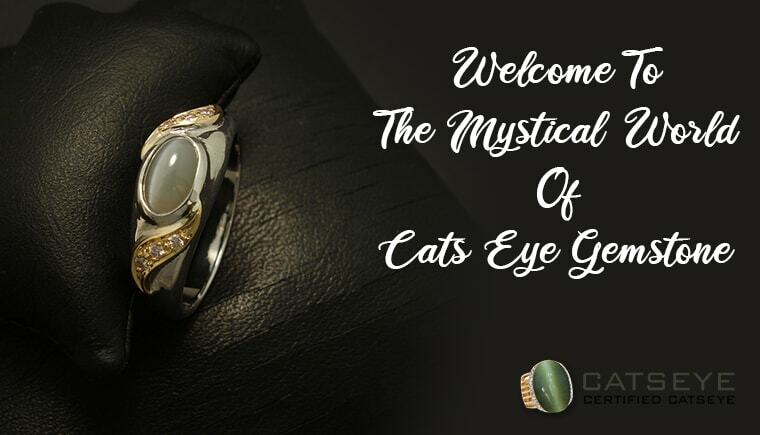 Cat’s eye is basically a polished cabochon that exhibits a narrow band of concentrated light across the width of the stone. It must be mentioned here that the effect is caused by minor inclusions of fine fibers, slender, parallel mineral fibers in the gemstone. Cat’s eye stone benefits include developed judgment, wisdom, maturity and developing shrewdness. These gemstones are responsible for expanding individual power and developing a more profound sense of being. • Cat’s eye is greenish, brownish, yellowish and colorless shades. Where does Cat’s eye gemstone occur? The Cat’s eye is mostly found in Brazil, Sri Lanka, and India. Some of the other countries where it is found is South Africa, Russia, Burma, and the United States. In India, it is largely mined in Odisha, Kerala, Andhra Pradesh, Tamil Nadu, and Bihar. How to identify a real Cat’s eye from a fake one? Being an opaque gemstone, it is really difficult to identify the differences between the real and the fake gemstone. However, there is one mark of authenticity that only the experienced eye can identify. Artificial Cat’s eye is too clear and the Cat’s eye effect would be too distinct. A magnified look can also show the irregularities under the polished surfaces like marks, grains of stone and the minor irregularities. The lower part of the gemstone is not polished, but ground. So, no one can see the roughness of the stone there. How to wear a Cat’s eye? If you want to avail the benefits of this stone Buy Cat’s eye online, but ensure that you have the certificate of authenticity for the same.